A statement is stencilled on a white wall: ‘Absolute silence again still’. We are unsure whether to consider each word in isolation, or to view the whole as a single, splintered sentence. The chop-and-change alliteration suggests a shared structural underpinning, but also results in a sense of interruption. As our eyes drift to either side, we may come to understand the phrase as belonging to an artistic proverb of nonsense significance. To the right, it continues: ‘Yet again / Only more spaces to fill.’ Mordent humour runs through the rhyme, as it confirms and negates its own importance. To ‘cross the line’ is to deviate from acceptable behaviour. In Ramchand Pakistani, a small boy innocently transgresses the Pakistan-India border during a period of heightened tensions, an act that carries disastrous consequences for his family. One moment, the boy sweeps barefoot over bleached dust. The next, he is contained within the corrugated aluminium of a police van, his mother frantically searching for him on the hot white plane. The border is foregrounded both as a focus for political anxiety, and as a conceit that reveals the abruptness of loss. Eleven-year-old Hasan reclines in the rooftop sunshine, polishing off a pomegranate. His teeth sink into the bitter flesh, meeting slippery seeds, ‘hundreds of teardrops encasing teardrops’. He has barely supped up the last drip of pulp when an Icarus opposite him falls to his death, overstepping a rooftop in pursuit of a kite. Hasan’s reaction is experienced through the terms of his almost compulsive imagination. In his dreams, sheep can fly and the moon is carried on the breeze. When his uncle is arrested for political reasons, these sensory surrogates aid his understanding of the traumatic events as they unfold. Harmonium drones, steady tabla rhythms, and buoyant clapping dominate on Shahen-Shah. Affirmations are chanted in Urdu, treated to extension and fragmentation. Nusrat Fateh Ali Khan spins improvisatory passages on top, as comfortable taking expansive melodic sojourns as he is firing rapid scats. The album consists of six performances in the practice of Qawwāli, the devotional music of Sufism. Nourished by the vigour of spontaneous co-creation, each piece is a jubilant declaration of faith, a celebration of Allah and the elevation of the spirit. Alone: Visit the Sabrina Amrani gallery website here. Read an article on Pakistan's minimalist art by Helen Armitage for The Culture Trip. Ramchand Pakistani: View the trailer here. Listen to the title song here. Visit the film's website here. Watch an interview with the director at the Tribeca Film Festival. Read a post by Omar M. Mozaffar for the Roger Ebert site. 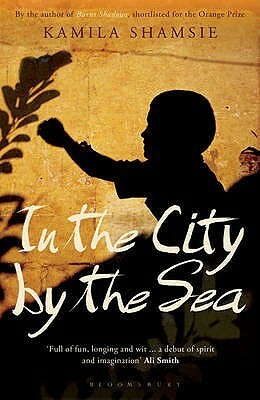 In the City by the Sea: Read an excerpt from the novel here. Natalie Hanman has interviewed Kamila Shamsie for The Guardian, as has Helen Brown for The Telegraph. The author contributed to an article titled 'How to Write About Pakistan' for Granta Magazine. Shahen-Shah: Listen to one of the album's tracks, 'Meri Ankhon Ko Bakhshe Hain Aansoo', here. 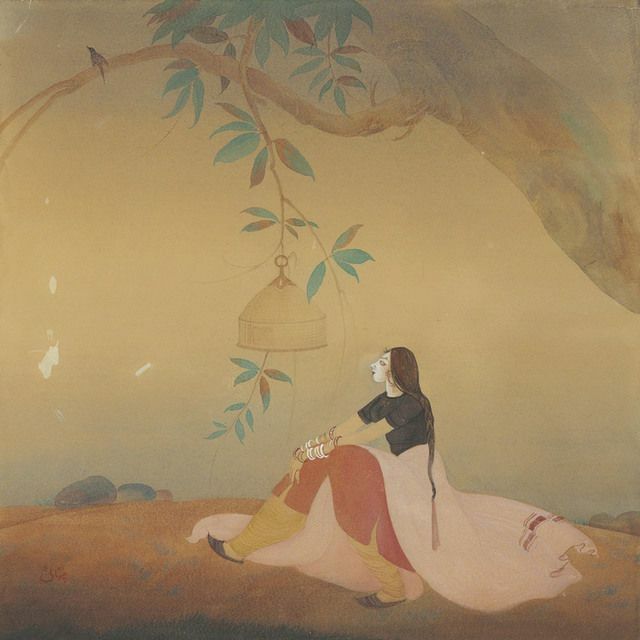 Which Pakistani artworks would you recommend, and why? Let us know on Facebook, Patreon, or Twitter.